 Front Street is a pub that features live entertainment, 20 taps and a full bar, handcrafted pizza and so much more. With downtown Niles’ beautiful riverside as our backdrop, we bring an exciting new approach to dining and entertainment. We use fresh, locally sourced ingredients to handcraft a unique collection, including our homemade sauces, hearty subs, salads and our traditional and deep-dish style pizza. 20 Taps offer a selection of the best Michigan craft beers along with several other macro- and micro- brewed favorites. We also carry a large variety of bottled beer, and our bartenders can create any of your favorite mixed drinks. We seek out the best local bands to rock our Front Street stage on Saturday nights. Check our event schedule below for upcoming band nights! We Only use fresh, local ingredients to carefully handcraft our pizzas. Our Traditional Pizzas take 20-30 min to prepare. For peak hours you may experience longer wait time. Our Deep Dish Pizza will take 45-60 min to prepare. For peak hours you may experience longer wait time. 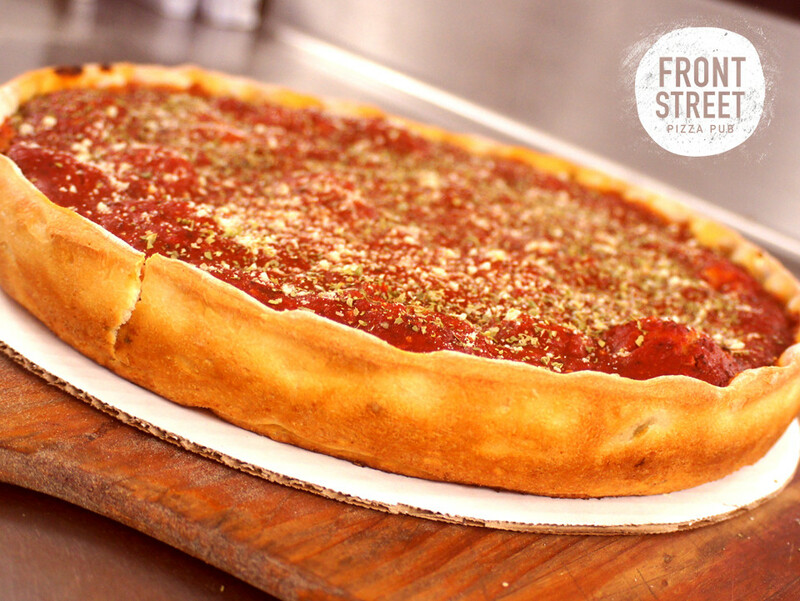 Deep-dish, stuffed with cheese, your ingredients, second layer of crust, and topped with our homemade sauce and seasonings. 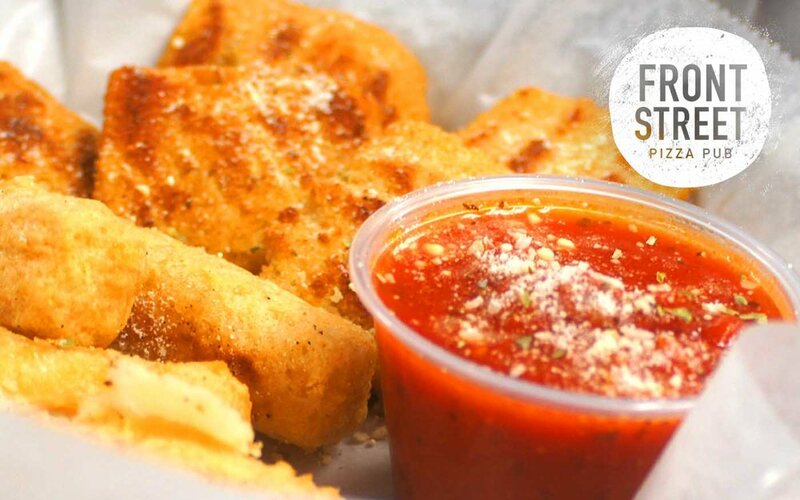 Stuffed with four cheeses and your choice of toppings. All salads come with your choice of dressing (ranch, French, bleu cheese, Italian, house balsamic, Caesar, or honey mustard). All 8-inch sub-sandwiches come with kettle-cooked chips and a pickle spear.